...and then rank the films in those franchises from your favori to least favorite. Awesome, thanks for answering! I haven't seen any Conjuring films yet, but I'm looking vers l'avant, vers l’avant to them. 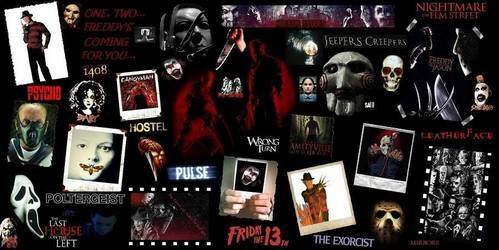 Halloween, Friday the 13th, A Nightmare on Elm Street, Child's Play and Saw are my favourites.